MaxOne features Max International’s proprietary RiboCeine™ technology which combines the nutrients D-ribose and L-cysteine to more effectively support glutathione production within your body. Glutathione is a key defense against harmful effects like free radicals, chemical toxins, and heavy metals which can all have negative consequences for our health. However, glutathione levels are depleted as we age due to factors including physical exertion, stress, poor diet, and lack of sleep. Give your body the assistance it deserves with the one product that gives focused RiboCeine™ support – MaxOne. MaxOne™ contains RiboCeine&trade, Max’s patented breakthrough compound, to give cells the health and wellness support they deserve by supporting the development of glutathione. MaxOne is a great option for those who may be allergic to the mushrooms in Cellgevity or the shellfish in MaxGXL. cell of our body. It is the body’s master antioxidant and chief cell protector against free radicals and oxidative stress. Among the critical roles it fills, glutathione protects us from harmful toxins in the environment by acting as one of the body’s primary detoxifiers. To learn more about the essential role glutathione plays in our lives, see the Glutathione Fact Sheet. Max International is determined to lead the industry in the research, development, and distribution of glutathione supporting products. MaxOne represents the evolution of glutathione support and the absolute cutting edge of what science has to offer. 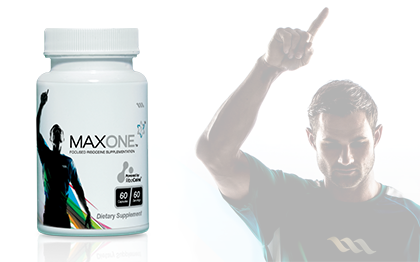 MaxOne, powered by exclusive RiboCeine technology, is the most effective way to help cells produce glutathione. One of the challenges of producing glutathione is in providing cysteine, a fragile component necessary for the production of glutathione, but often found in limited supply in the body. Supplementing orally with raw cysteine, or whole glutathione for that matter, is not efficient because it would be destroyed in the digestion process before reaching the cell. RiboCeine solves these challenges by effectively protecting and delivering the fragile cysteine molecule, enabling cells to produce glutathione when they need it most. The ribose compound in RiboCeine is also used by the cell as an essential component to ATP production, the body’s source of energy.